Exceptional flavour, far richer in taste than commercially raised pork, lower in fat too. 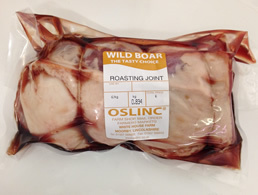 Now available in larger roasting joints 800g, 1.2kg, 1.5kg and 2kg. Boneless joint, rolled and tied by our master butchers.